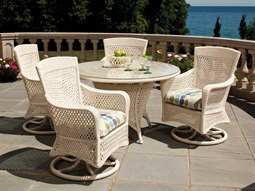 Typically constructed from aluminum frames, commercial wicker furniture is actually crafted from a combination of natural fibers (such as grasses or wood) and a synthetic reproduction that mimics the look and feel of natural wicker or rattan. 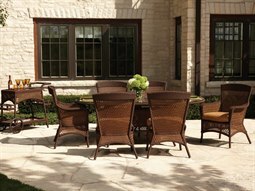 This combination makes this technologically engineered material appropriate for outdoor use, and a robust outdoor material. 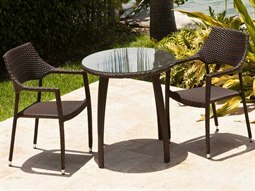 It is wrapped around an aluminum frame for outstanding performance against rigorous everyday wear and outdoor elements. 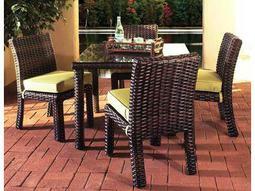 Commercial wicker sets bring an ultra unique look that stands out among typical sets constructed from metal or wood. 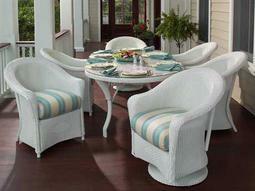 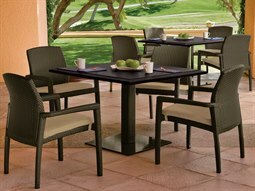 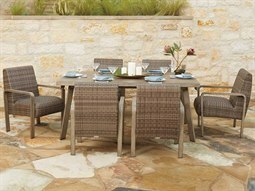 Today’s wicker dining sets add a sophisticated look to any commercial outdoor setting with a fashion-forward edge. 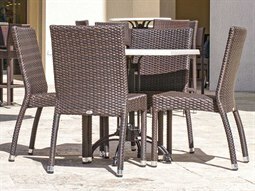 The warmed up aesthetic appeals to many guests, and will make any restaurant or hospitality dining space truly stand out. 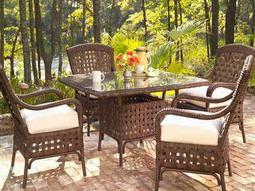 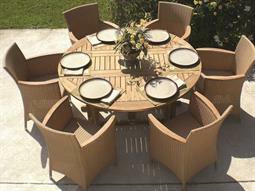 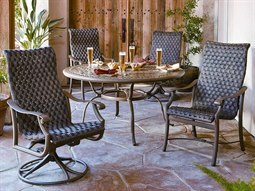 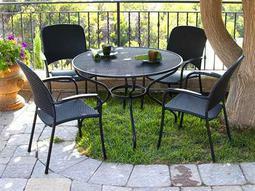 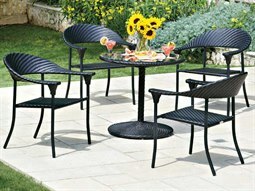 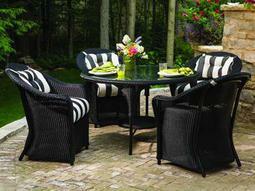 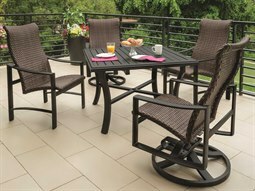 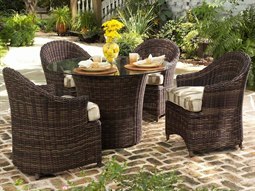 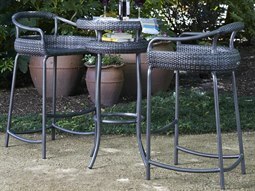 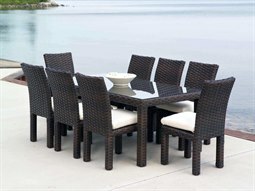 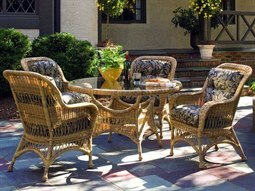 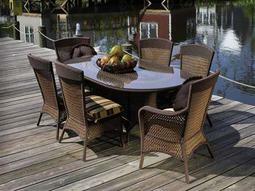 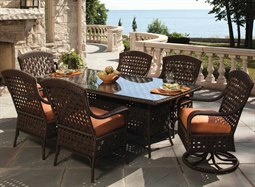 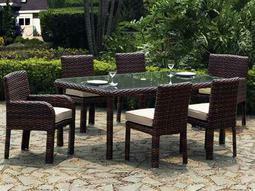 Find a diverse range of dining sets constructed from high-grade wicker at Commercial Outdoor. 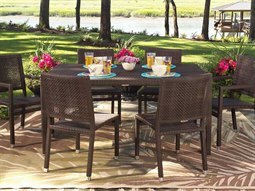 You’ll find plenty of options to accommodate any number of people from petite sets for intimate pairs, to large table sets that can accommodate more than eight people.